What should you do if you pet urinates on your carpet? Need pet urine removal advice? 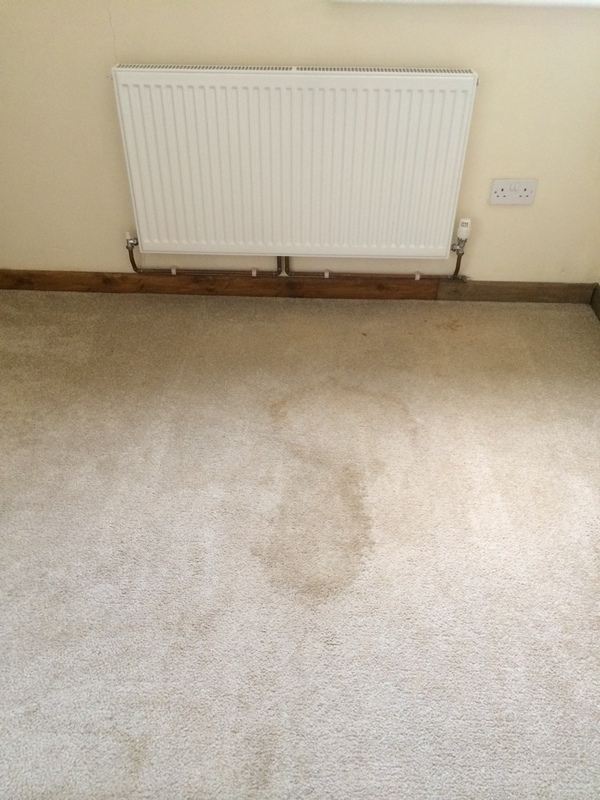 Here is a recent example of a dog urine stain which we successfully removed from a customers carpet.. So, what should you do if your dog or cat urinates on your carpet? First thing to do is blot as much of the liquid up as you can using kitchen roll and plenty of it. Step on the kitchen roll in order to apply as much pressure as you can – the more of the liquid that is soaked up the better the overall likely outcome is going to be. Then your carpet needs to be treated with a decontamination product in order to neutralise and deodorise the urine. After decontamination the carpet needs to be cleaned. 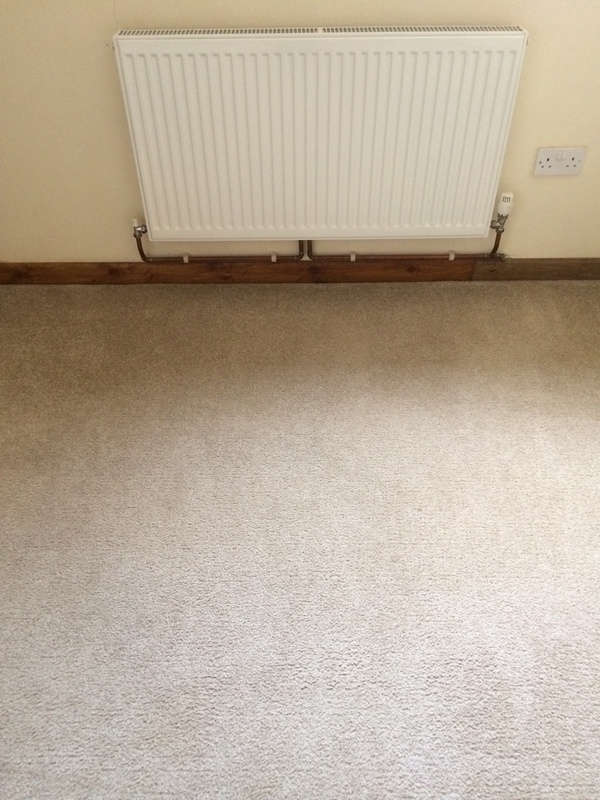 Both the decontamination and the cleaning are best carried out by a professional carpet cleaner. This will give you the best possible chance of complete pet urine removal. It may not always be possible to achieve pet urine removal but calling in a professional carpet cleaner with experience and expertise in pet urine removal will certainly increase the likelihood of getting the desired outcome. The pictures you can see here are just one example of successful pet urine removal carried out by Bonne Fresh Clean. We offer professional carpet cleaning and upholstery cleaning in Bristol, Bath, South Gloucestershire, Thornbury, Yate, Chipping Sodbury, Winterbourne, Bradley Stoke. We cover all the villages in the Bristol and South Gloucestershire area including Iron Acton, Frampton Cotterell, Cromhall, Almondsbury, Tockington, Olveston, Rockhampton and Wickwar to name but a few! We are your local, friendly, professional Carpet & Upholstery Cleaning Specialist, get in touch, we guarantee you superb cleaning and first class service at a fair price. ‹ Why choose an NCCA accredited Carpet & Upholstery Cleaner?